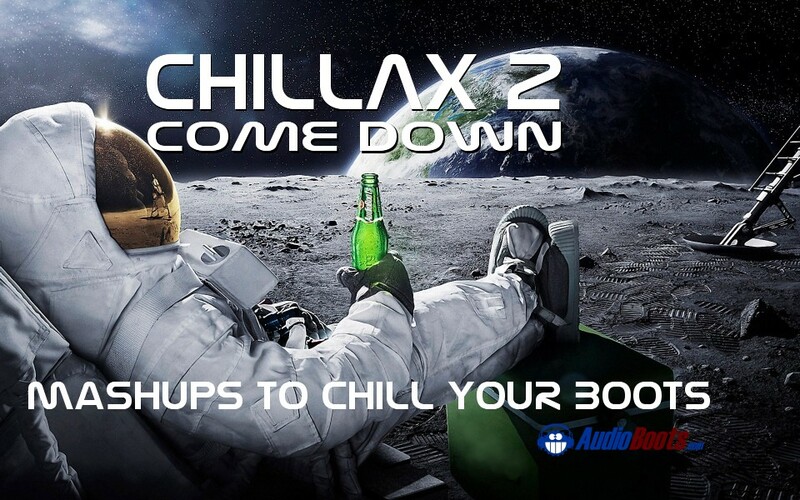 Chillax Come Down 2, Mashups To Chill Your Boots. All New! 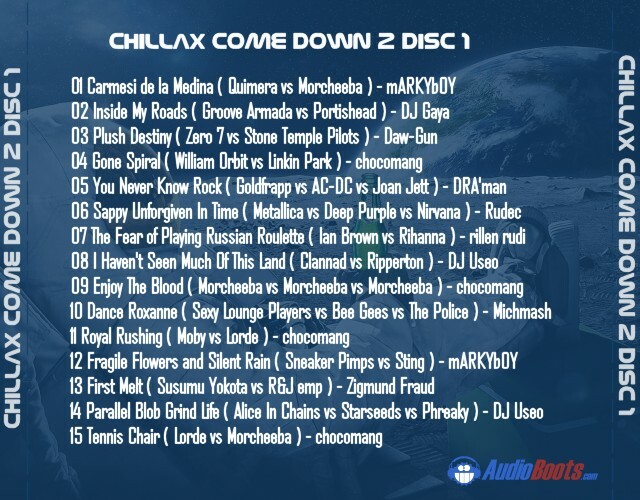 It is 30 new mashups, 2 hours of downtempo music to chill your boots. Now that's a wonderful turnout! The Summer Booty Kopimi radio show was a small success! So glad to hang out with y'all. A stunning collection. It's so very noticeable that everyone brought their best "game". I find this to be a seriously excellent collection. I love to play it, & re-play it. Many, many thanks to all youse mixing mugs. thanks for all the hard work guys, its a great album! So great to know of this. Thanks. The KOPIMI RADIO Chillax 2 premiere was a splendid show, but sparsely attended by contributors, & bootleggers in general. 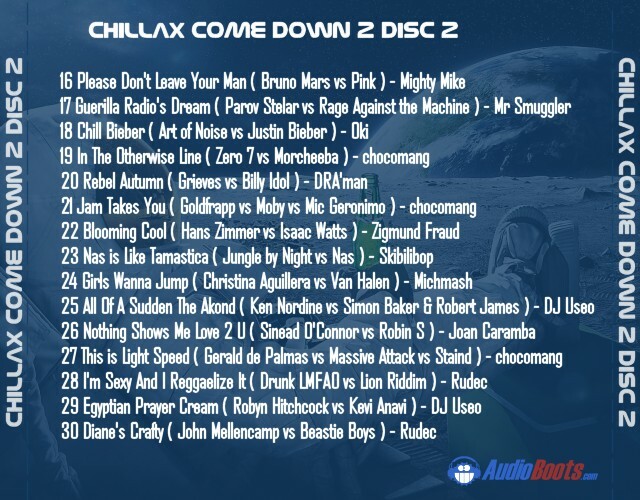 Please consider attending the live broadcast of the next Audioboots comp. KOPIMI RADIO will be doing the entire SUMMER BOOTY 2016 the Summer Mashup Album on June 19th 2016. I'll add a post about it tonight. Over the recent 3-day weekend here in the States, I got the chance to play this for company who had little experience hearing mashups. Wow, did they ever love it. I actually ran out of blank cd's to burn the comp for them all. They didn't even know Chill music, but they took to it like cats to mice.